i have an 86 monte ss. 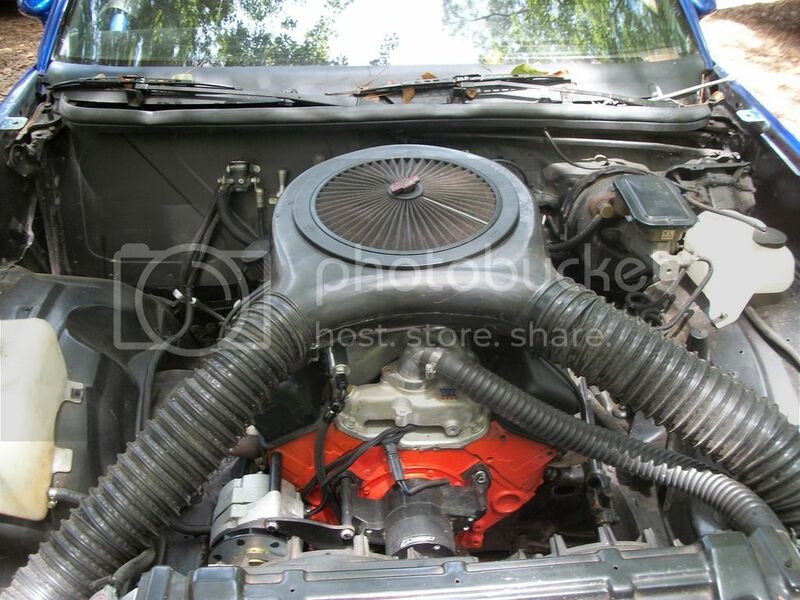 it originally had a 305 with what looks to be a dual snorkel air cleaner setup. the previous owner did a 350 swap and did away with the dual snorkel. from what i have read i can put the dual setup back on and it will run just fine. my question is where can i find a replacement for this? google isnt being too friendly with me today. are you looking for used or new? Spectre Performance is where they are. i'm not sure what Dirty's looking for,a stock looking one or an aftermarket looking one. sorry for the late reply. if stock is possible i would like to go that route. not too sure how it would fit with a 350 swap. thanks for the link to spectre and the photo. 283ci, 305ci, 350ci, 400ci, etc. SBC are all the same foot print. If it fits one, it will fit all when speaking of simple bolt on EXTERNAL components. Just thought I would toss out an FYI.. If it will bolt, mount, hang or attach to the orange in the above picture, it will cross to any small block Chevy. If you ain't bangin gears , causin tears you might be better off in a Ford!